Pope St Gregory I | Flickr - Photo Sharing! "O God, who care for your people with gentleness and rule them in love, through the intercession of Pope Saint Gregory, endow, we pray, with a spirit of wisdom those to whom you have given authority to govern, that the flourishing of a holy flock may become the eternal joy of the shepherds. Through Christ our Lord. Amen." 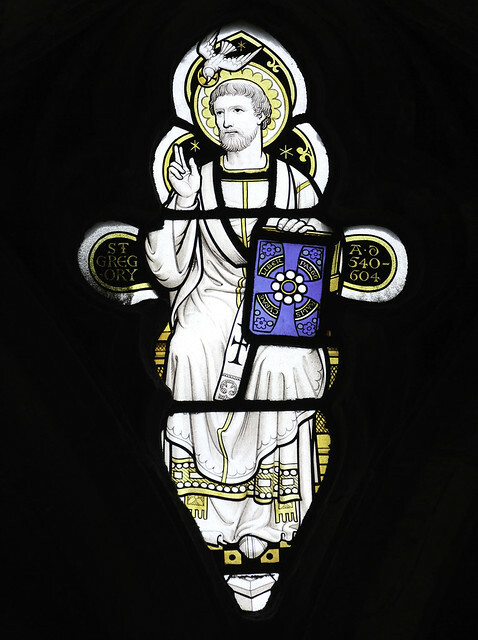 Pope St Gregory is depicted holding his book on pastoral governance called 'Liber Pastoralis Curæ', from a window in the cloister of Canterbury Cathedral. xpisto1, RAEdgar63, LangotGuy, and 1 other people added this photo to their favorites.